That misses a couple key considerations. First, buyers view their relationship with vendors in an extended way - marketing functions are important in delivering what buyers want, but are often substantially under resourced. Second, it reinforces the emphasis on product & service rather than business outcomes which they can help customers achieve. As companies work to blend their revenue growth functions across a continuum, replacing the traditional silod model of PR, marketing, sales and customer service, they have an opportunity to incorporate more tools in a holistic and balanced approach. Demand generation, lead generation, product marketing, event marketing, marketing communications, email marketing, inside sales, and field sales are easy examples. But this sort of corporate shift creates an opportunity for a more thoughtful approach. 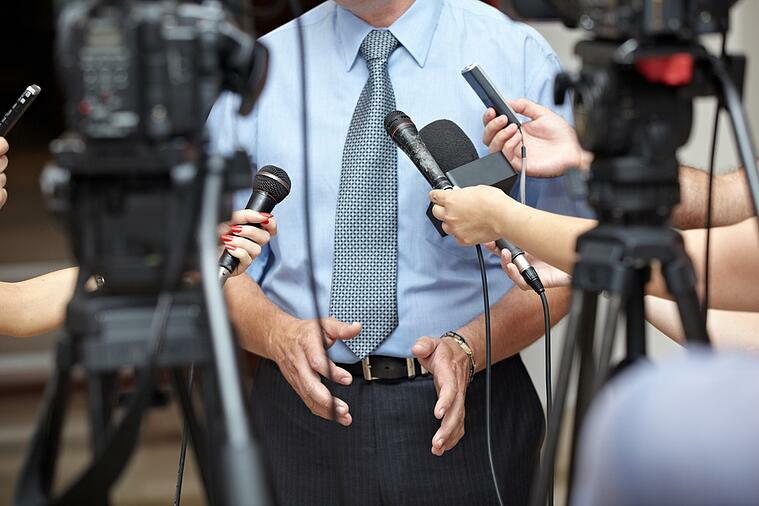 The role of PR for industrial manufacturers is a perfect example. Most industrial companies think of PR as throwing press release s&%t up against the reporter wall to see if anything sticks. The answer is "not much" and that's why even PR agencies are jaundiced against press releases. I was at an event recently where a panel of PR experts agreed that press release services are a waste of money. If the goal of your PR is to get media to parrot your self serving story, then clearly that's the case. But that completely misses the opportunities which PR is well suited to address in today's digital world. You know the painful process you go through to simply plan, write and publish a single blog post. Imagine having to fill a newspaper daily, a magazine weekly or monthly, and a publishing website continuously. Journalists need story ideas and sources to help write them. But those stories have to speak to their audience - addressing the themes which the publication aims to target. In the industrial space this is often around improving operations, increasing efficiency and decreasing cost. On the other hand when you start with a problem or outcome, provide some context on why it's important and who cares, and then provide substance to make the story easy to write (perhaps even offering some other sources,) then you help a reporter. And hire a journalist! You need better content creation capability for sure - and bright, creative journalists who are trained and skilled in interviewing, research, fact checking, writing and deadlines can be a great asset internally. As a bonus, many find that salaries in their dream jobs may not be adequate as they start - so you could hire inexpensively and help both your business and a recent graduate at the same time. Many companies' blogs are really just a series of infrequent self-serving press release type stories. That misses the huge lead-generation organic search value of a blog that answers the questions people are asking. Beyond the opportunity cost, it frankly abuses your subscribers. The trade shows at which you exhibit, the new product announcements and your hiring & facility activity may be helpful for the market to know, but are dreadfully unimportant to most of your potential readers. Start to think of press releases as an opportunity for a very, very well optimized page of content that fits into an SEO pillar. Then create a separate blog on your site for "News" and publish your press releases there. That way you leverage the SEO opportunity without forcing yourself in unwelcome ways upon subscribers. Be sure to include a call to action or opportunity for more information on your site - it's a perfect organic search lead generation opportunity. Pushing it out on the wire is relatively low cost and may help boost some links if folks pick the story up and share it. If plan to do this, publish the release to your own site a couple days ahead of time so you accrue the search juice. Finally, don't just blast it to journalists. They'll ignore it...and you! Instead it's really important to cultivate relationships. Build individual and organizational authority as a "go-to"
Preferably, find complimentary fields, journals and reporters. If you make welding machines, stop pitching the welding machine magazines and focus on pipelines, automotive, or related industry outlets. Similarly if you offer services to help businesses cost & price, then target outlets which cater to industries where you've got great case studies. This will help you stand out as a valuable and authoritative resource....not another vendor trying to "box out under the net." And then be ready, respond quickly, and don't be consistently self-promoting. Work to have them link to your site from their articles (often very high authority sites) and don't hesitate to catalog your citations someplace on your site with links to the articles. This approach takes time - like building any professional relationship founded on mutual respect. It's a perfect use case for CRM as a process tool beyond simply a contact manager. When a noteworthy story breaks, your long-standing journalist contacts will likely reach out to you. If not, you'll know who you should call to provide insights. But if you're still early in the process of cultivating relationships, or want to reach new audiences, David Meerman Scott's newsjacking can be an effective, tactical PR approach. However, this requires agility and a willingness to accept some risk - both attributes which can be scarce in industrial marketing departments. As you start to refine these skills, especially if you hire some journalistic talent, you'll also start to find that your ability to create short form content in video and social media formats will benefit as well. The skills and mindset common among journalists complement these channels where manufacturers are often not as strong. Telling stories with video (using effective "B" roll and interview excerpts to supplement commentary,) and teasing with headlines, match perfectly to buyer expectations and consumption habits. Where this fits? Outsource? Insource? Silo? Blend? This depends on you. Manufacturers typically prefer to insource the work - often seeking consulting expertise to develop and tone the muscle. Naturally PR agencies have a vested interest in an outsourcing model. HOWEVER, they are PR folks and rarely understand how PR needs to be blended into an continuum of community/prospect/buyer/customer facing content. Often their content completely misses the dual purpose, yet they proudly measure themselves on placements and mentions vs. leads and revenue. I've spoken with various PR agencies who had never considered SEO, or optimizing stories/press releases and other PR content for organic search value. They may also be so focused on their journalist "buyer" that they can't reconcile the market buyers' perspective with their efforts. So it can be akin to hiring an engineer with years of expertise in designing mechanical solutions, but with precious little interest in integrating servo technology. This conflict is also evident in-house in middle market companies which have an active internal PR function. The silos serve internal, selfish purposes and provide some organizational clarity - but they defeat the broader strategic goals. I once had a surreal conversation with a SaaS company PR department (which was tasked with selecting and handling award submissions) regarding a potential Presidential "E" award for export success and excellence. Receiving such an award is a great opportunity for regional, national and international press that could support a number of goals including lead generation and recruiting. I knew that a pillar of the company's strategy was global growth, and that recruiting was an ongoing challenge and resource drag. Publicity around global success supported both strategic goals - including hiring and retaining millennials (further documented by recent Amex research.) And yet the recent graduate in the PR department was focused on finding events & mentions in the typical tech places - they were a software company after all. And so in his zeal to get a TechCrunch or Wired mention, the opportunity to have a potential White House event was wasted. hire a couple recent journalism grads - preferably one with video and one with written preference. So, back to the real issue for many manufacturers who haven't traditionally staffed marketing departments. The world is different now. Your field and channel sales teams will not create the flow of leads and deals they used to. Much of your sales process will be done virtually. And between those two realities, the only reasonable solution is to shift resources between the traditional functions of sales and marketing. And then you need a framework, founded on corporate strategy and adapted to meet the revenue growth strategy, that outlines the functions, skills, staffing, priorities, and discreet routine tactical steps necessary to drive a holistic program. If you're interested in developing that kind of capability internally, my model of consulting and coaching could be a perfect fit. Intrigued? Let's set up a time to chat.